The good news is, the housing market is making a slow and irregular recovery, with home prices rising and new construction underway. Low interest rates are making mortgages and refinancing possible for more people. But the residue of the great housing collapse continues to affect the recovery. Mortgage delinquencies, down drastically from the surging numbers of 2008-2001, continue to keep many homeowners on the verge of foreclosure, and economic conditions may not have improved enough to save them – which in turn hampers the housing recovery as a whole. Why the continued high default rates? Some financial experts blame problems with home equity. In bad economic times, when home values plummet, homeowners may not have enough equity to fall back on when a payment comes due. Others point to weakness in the economy overall, which makes employment uncertain and wages low. Still others blame the rush to subprime mortgages which led to the housing collapse and left many surviving homeowners barely hanging on. If a default rate of 5 percent or so doesn’t sound like much, the government’s programs to help troubled homeowners, such as HARP and the various refinancing options offered by Fannie Mae and Freddie Mac have not only survived the cuts of the fiscal cliff, but they’ve been expanded to offer eligibility to more homeowners. And regulations governing short stales have been released as well, suggesting the need for these supports not only hasn’t diminished, but has increased. A slow recovery means more homeowners in trouble. 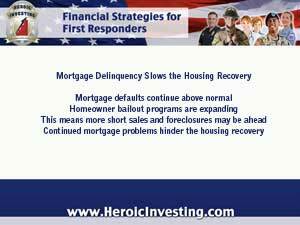 And more homeowners in trouble contribute to the slow recovery. Unaddressed mortgage delinquencies create more foreclosures and short sales on the market, and that can hamper growth in some markets where the foreclosure rate is high. 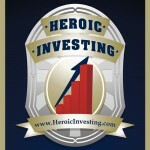 For heroic investors using Jason Hartman’s strategies for building wealth through income property, it pays to stay aware of how mortgage problems affect the markets – and the availability of income properties throughout the country.